Wild Places Publishing specialises in caving-related publications and was formed with book publication in mind. Its growth has, however, been closely linked with perhaps the best known of its publications, Descent magazine. Descent was launched as a small-format magazine in January 1969, price 2/6 (12.5p). Its first editor and publisher was Bruce Bedford – you can read the story of those early years in Descent (210) – under various publishing names: Descent Publications, The Mendip Press and eventually Mendip Publishing. The magazine gained its ISSN of 0046-0036 with issue (35) in 1977 and moved to an A4 format with issue (40) in 1979. In 1983 and with issue (55), Gloucester-based Ambit Publications took the reins as publisher. While Keith Creighton ran the publishing end of things, supported by Sue Dwyer who did the layout, Bruce remained as editor until issue (82) in 1988. Keith produced a single issue as interim editor, then Chris Howes began his tenure as a freelance editor with issue (84), from the beginning working alongside assistant editor Judith Calford. In 1997 the publisher changed to Gloster Publications (named for the Second World War aircraft, not the company's home town of Gloucester). In fact, this was still Ambit Publications, renamed while restructuring, which in turn led to the sale of Descent in 1998. Thus, the magazine came to Wild Places Publishing, at that time only recently set up by Chris and Judith to produce Images Below and other caving book titles. This also seems a suitable place to mention some of the background to how Wild Places Publishing prepares Descent. There is virtually nothing that can be done or produced that does not impact the environment in some manner, but we can try to minimise those effects. The servers that host this website, for example, are powered by 'green energy' – that is, electricity sourced from wind, water and sunlight – and if you order goods from us, don't be surprised if they turn up in reused packaging (it seems far better to recycle an old padded bag than put a new one in circulation!). With issue (215) in August 2010, Wild Places moved its production from Trafford Print in Doncaster (the company had printed Descent from the first issue under the Wild Places banner) to Cambrian Printers in Aberystwyth, and Descent began a new era as a full-colour publication – perhaps the first caving magazine in English to take this step. Cambrian was chosen both for the quality of its printing and for its environmental record: the paper used for Descent comes from a sustainable and certified source and the magazine is printed using vegetable-based inks. These contain 'normal' pigments, but the oil used as a carrier is made from sources such as soybean, corn or linseed oils and this means that the inks are more readily biodegradable than conventional ones that rely on mineral oils (and, not that any caver would wish to throw Descent away, the paper is more readily recyclable). Archivists and collectors need not worry: the longevity of the printed page is identical to before. 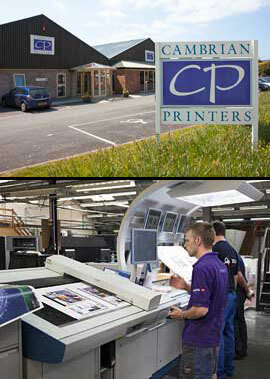 Follow this link if you wish to learn more about Cambrian Printers. Descent is therefore only part of what Wild Places works on – take a look at our books in detail, for example. We take some pride in only presenting top quality products and have won awards for our publications, so rest assured that you cannot find finer. Please take some time to explore our website and let us know what you think.